Simple. Easy. Flavorful. While you can make this in any baking dish, there are Portuguese dishes specifically made for baked rice. In Portuguese markets, I most often see this type of stoneware made from glazed terra cotta. 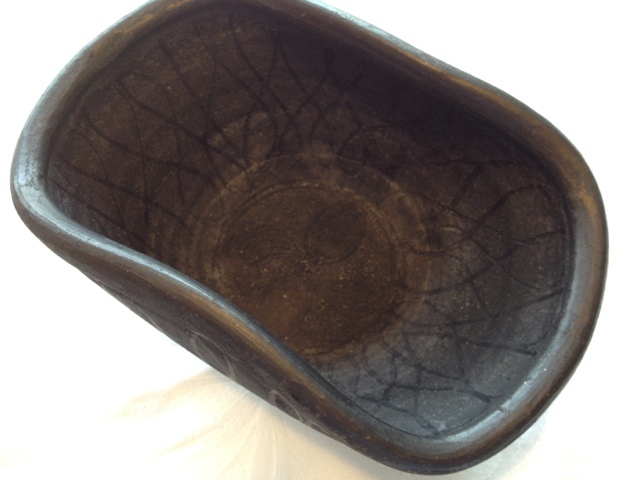 What I haven’t seen in the US is the unglazed, black clay from Vila Real, which is located in Northern Portugal. I was lucky enough to carry one home from my last visit. 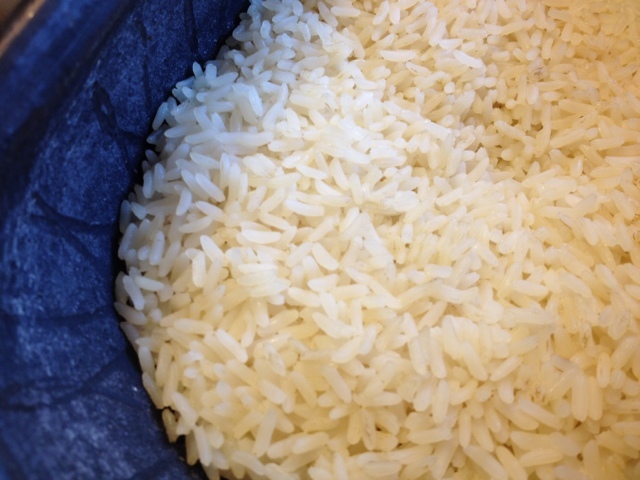 I think the unglazed stoneware’s texture and dark color gives the rice a unique flavor and texture. In a skillet, saute the onion, salt, and olive oil until translucent and just beginning to develop some color. Add water and bring to a boil. Add rice to baking dish and pour over the hot liquid. Bake at 350F for an hour. This recipe can be easily doubled, tripled, or until it can feed a Portuguese soccer team. Throw it all together and bake at 350F for 1 hour.